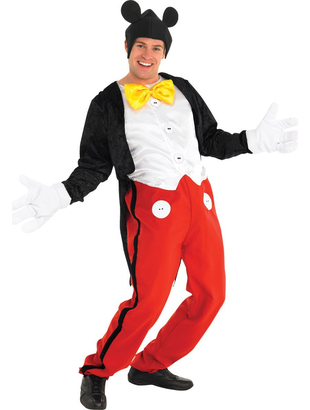 Mickey Mouse Costume includes a one piece jumpsuit with red trousers, white shirt and an attached black jacket. The jumpsuit also features printed buttons. 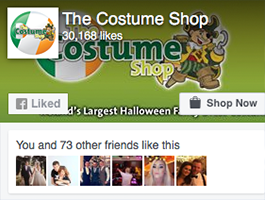 Also included is a pair of white padded gloves and a Mickey Mouse headpiece. Large: Chest size 38" - 42"